There is a wonderful distinction here that should help us hear what God may be saying to us at times, as well as help us know how to deal with those around us who habitually sin and cause hurt in our lives or the lives of others. The distinction has to do with Jesus’ motivation for chastising the people of Chorazin and Bethsaida. Why did He do that? And what was the motivation behind His actions? Jesus chastises them out of love and out of a desire that they change. They did not immediately repent of their sin when He offered an invitation and powerful witness of His miracles, so He needed to take things to a new level. And this new level was a strong and clear rebuke out of love. This action of Jesus could at first be perceived as an emotional outburst of anger. But that’s the key distinction. 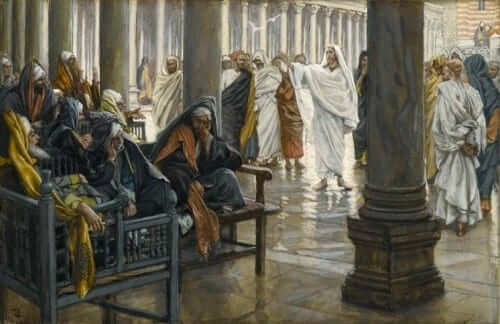 Jesus did not rebuke them strongly because He was mad and lost control. Rather, He rebuked them because they needed that rebuke to change. The same truth can be applied to our lives. At times we change our lives and overcome sin as a result of the gentle invitation of Jesus to grace. But, at other times, when sin is deep, we need a holy rebuke. In this case we should hear these words of Jesus as if they were directed at us. This may be the specific act of mercy we need in our lives. Reflect, today, on whether or not you need a rebuke from Jesus. If you do, let this Gospel of love sink in. Reflect also upon your responsibility in correcting the faults of others. Don’t be afraid to exercise an act of divine love that comes in the form of a clear chastisement. It may just be the key to helping those you love to love God all the more. Lord, help me to repent daily of my sin. Help me to be an instrument of the repentance of others. May I always receive Your words in love and offer them in the form of love that is most effective. Jesus, I trust in You.